Can you paint and swing a hammer? Or are you interested in learning these skills and more? All experience levels are encouraged to serve! Join Catholic Charities and the Knights of Columbus as we help repair homes damaged by Hurricanes Matthew and Florence in Cumberland County. Volunteers of all experience levels are encouraged to participate. Spots are limited so sign up now! 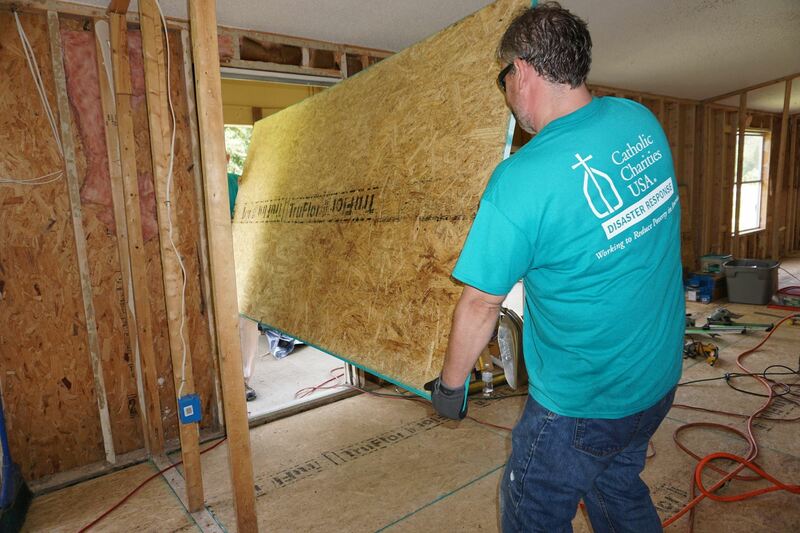 NC Catholics Volunteer has partnered with The United Methodist Church to assist families impacted by Hurricane Matthew. 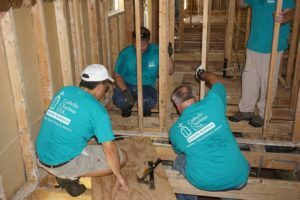 This opportunity is open to all interested in lending a hand to help those impacted by Hurricane Matthew. Projects may range from tearing out and ripping down walls to painting and putting up drywall. All projects will be determined on the day of the project. Individuals under 18 must be accompanied by a parent. Minimum age to participate is 13. Individuals must be comfortable working in a construction site. If you have any questions, please contact Daniel Altenau at Daniel.Altenau@raldioc.org or at (919) 821 – 9767.